An AMR ambulance. Photo from AMR's Facebook page. When there is a medical emergency, local firefighters are the first to respond and stabilize the patient. Then AMR will take them to the hospital. After the trip, AMR bills the patient or their insurance somewhere in the neighborhood of $3,000. While AMR pockets some of that money, a portion of that money goes back to the local fire departments to cover part of their paramedic costs. But that money doesn’t directly go from AMR to the fire departments. The money goes through a joint powers authority created by the fire agencies in San Mateo County. The agreement that creates the middleman, the joint powers authority, is set to be renewed by July 1. But in the 10 years since the last joint powers agreement, some of the fire departments have merged, and that has sparked quibbling over how much AMR should pay each agency. For instance, Belmont, Foster City and San Mateo are now part of the San Mateo Consolidated Fire Department. Further south, Redwood City and San Carlos fire have merged. And Millbrae now contracts with Central County Fire (which previously just covered Hillsborough and Burlingame). Those mergers may change how much money each agency gets from AMR. 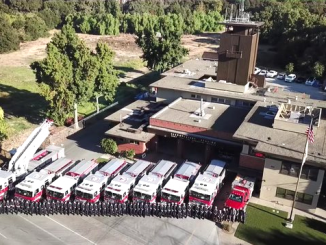 The Menlo Park Fire Protection District, which has seven trucks with paramedics on them and a nighttime population of 89,706, gets $420,000 a year from AMR. But, San Carlos and Redwood City, which also has seven trucks with paramedics and a nighttime population of 117,184 between the two cities, also gets $420,000 a year. It’s a similar story for San Mateo Consolidated. It has 10 paramedic trucks, a nighttime population of 166,300 and receives $600,000 a year from AMR. If the joint powers agreement isn’t changed, these disparities between how much money a fire department gets and how many people it serves won’t change going into the future. Also, the JPA board, which hands out the AMR money to fire departments, is lopsided too. Menlo Park, with three incorporated cities (Menlo Park, Atherton and East Palo Alto) and two unincorporated communities (North Fair Oaks and West Menlo), gets one seat on its board, Redwood City gets two because it now covers San Carlos. And the new consolidated San Mateo agency gets three (for San Mateo, Foster City and Belmont). It’s important how many seats each fire agency gets on this board because the JPA makes decisions about AMR funding. 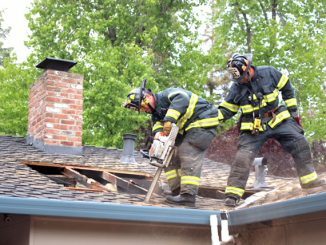 At a meeting of the Menlo Park Fire Protection District board last night (April 4), Chief Harold Schapelhouman laid out some of his concerns with the JPA agreement. A new clause in the agreement is that firefighter-paramedics can only have on their trucks the same equipment that AMR does. 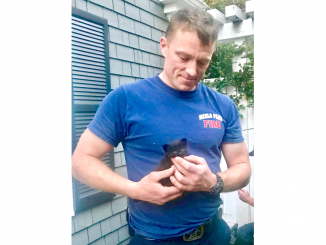 But Schapelhouman pointed out that the fire district has an automated chest compression system that can help paramedics keep CPR going when waiting for an ambulance. AMR doesn’t have such a device. Would Menlo Park have to jettison that piece of equipment if this clause in the agreement were to remain? Fire board member Chuck Bernstein floated the idea of leaving the JPA if changes are not made. But the rest of the board wasn’t receptive to the idea. One problem is that there appears to be only one ambulance provider available — AMR. Nobody else bid on the countywide contract that AMR has held for years. Could Menlo Park start its own ambulance service to replace AMR? No, a state law passed in 1980 doesn’t allow fire departments to start their own ambulance agencies. 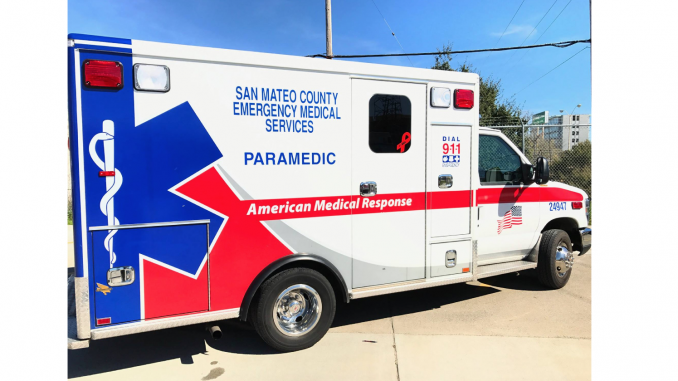 Palo Alto and South San Francisco have their own ambulances because they had ambulance services before the law went into effect and were grandfathered in. If Menlo Park were to leave the JPA, it would still have to negotiate with the JPA to be able to obtain ambulance services, Schapelhouman pointed out to Bernstein. Ultimately, the board unanimously voted to send a letter to the JPA Director and others at the county laying out the district’s problems with the current agreement, and will have board member Jim McLaughlin at an upcoming JPA meeting to formally request for an extension for the agreement to be approved.